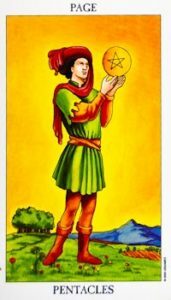 One of the most common challenges for those learning Tarot is understanding the Court Cards. Do they mean people? Events? Personalities? The querent? Someone else? And does a Queen really have to be a woman? And a Page a blond-haired, blue-eyed person under the age of 25? 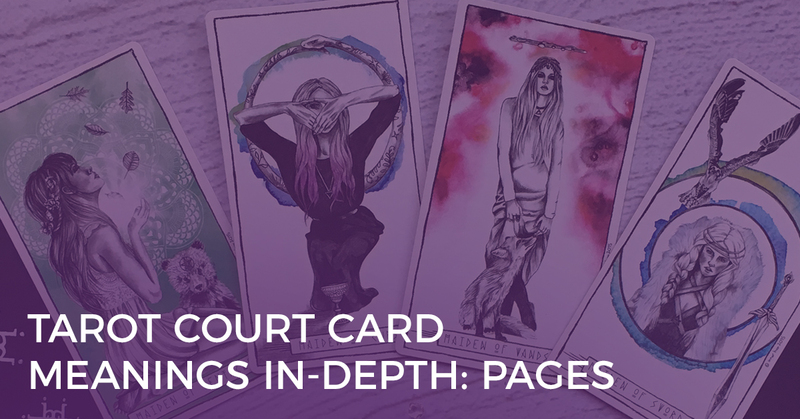 I recently wrote the post “How to Read the Court Cards Like an Expert” to help other Tarot students learn more about these tricky cards. (If you haven’t already read this post, please do.) 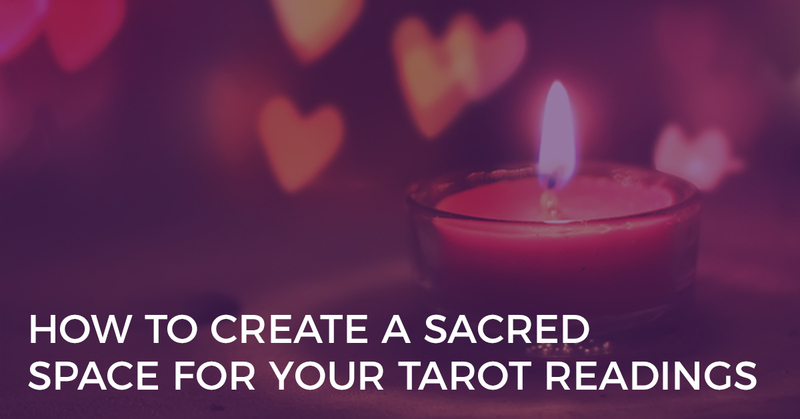 But now, I want to focus on each of the Court Cards – the Pages, Knights, Queens and Kings of the Tarot – to help you understand how you can interpret these Tarot cards in your readings. We’ll begin with the Pages, followed by the Knights, the Queens and finally the Kings. As people, Pages often represent young, energetic people who are at the very beginning of their personal journey. They are still developing a sense of self but they approach new challenges with fervent energy and excitement. Pages look forward to the opportunity of learning and practicing new skills. On a physical level, Pages can represent young children through to young adults. However, Pages can also represent those who are young at heart or who are discovering a new aspect of themselves. As events, Pages are often seen as messengers and come to you with a new opportunity or an invitation. Pages encourage you to go for it and give you the green light for a new project or initiative. Pages often appear when you are on the cusp of a new idea (Wands), a new feeling (Cups), a new way of thinking (Swords) or a new job or career pursuit (Pentacles). They symbolise a new stage in life. 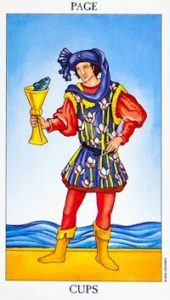 The Page of Cups signifies the beginning of a creative project or venture. It is an indication that there is creative energy trying to burst forth into your consciousness. 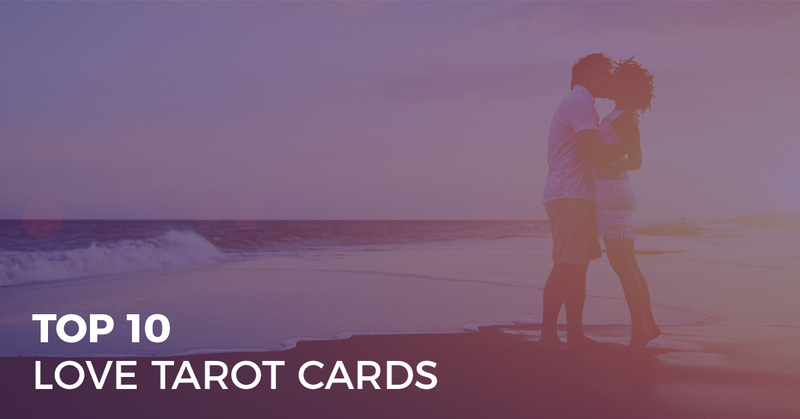 Often, the Page of Cups heralds a positive message or news from loved ones. You may hear about the birth of a child, an engagement or marriage, a wonderful idea or plan, pregnancy, a new relationship, travel plans, etc. This positive message is unexpected but welcomed, and you are likely to respond to the news or message in an emotional manner. The Page of Pentacles is a card of dreams and the desire to manifest those dreams in the material world. You may be in the midst of a new project such as a hobby, business venture, or the beginning of a new educational experience. In any case, the Page is a sign of enthusiasm and desire, focused around a goal or a ‘dream’. The Page of Pentacles encourages you to begin to put in place clear plans and actions that will ultimately lead you to achieve your dreams and goals. This is a time when you need to be able to apply careful planning in order to manifest your dreams and achieve your goals. You need to remain focused on the practical and tangible elements, keeping your feet firmly planted on the ground and not getting carried away with more ideas and concepts but rather being focused on what is realistic and achievable. This is when your common sense and pragmatic approach will lead you to success and to finding a solution that actually works. 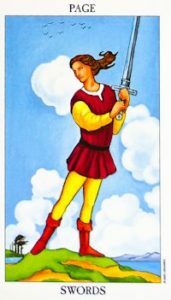 The Page of Swords reflects an abundance of energy, passion and enthusiasm. You cannot wait to get started on a new project or an idea, and to share that with others. You start all new projects, ventures and journeys with a huge amount of energy and excitement. The challenge, however, is whether you can keep it up! As with all Pages, the beginning always looks promising but something else is needed in order to maintain the pace. The Page of Swords is almost like a green light to say, “Go for it”. There are always going to be challenges with whatever option you choose and not everyone is going to be happy with your choices but when it comes down to it, you need to follow your passions and go where your true energy lies. This Page encourages you to move forward and to get the wheels in motion, despite any challenges or setbacks that may potentially stand in the way. 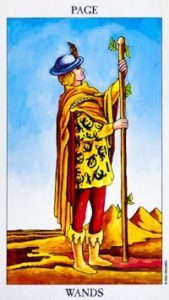 The Page of Wands is similar to the Fool in that he is a free spirit who represents change and new beginnings. He has a true passion for life, despite his understanding of this world is not yet fully developed. He has not yet been weighed down by the burdens of the material world, coming and going as he pleases, and usually encouraging change wherever he goes. He is like the catalyst that inspires changes that might be impossible in any other situation. The appearance of the Page of Wands indicates that you are experiencing a creative restlessness within you that is just waiting for some sort of expression, or, you may be on the verge of some sort of discovery or new phase of life. The Page of Wands represents the sudden creative spark that comes to you, suddenly and unexpectedly, and that starts you down the road of a new creative vision. Thus, he encourages you to express yourself and your individuality with light-hearted abandon. Listen to your unconscious mind and follow your creative urges, even if you are worried about being the lonely voice crying out in the wilderness. With persistence and a balanced perspective even the immature desires of the Page of Wands can be transformed into a beautiful creative vision that can change the world. 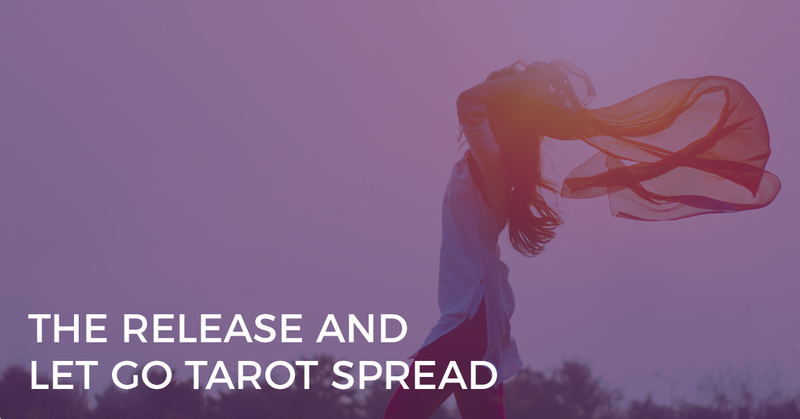 If you’ve been searching for an easy to use, fresh, modern, practical guide to the meanings of every Tarot card (upright and reversed), I’ve got just the thing for you. 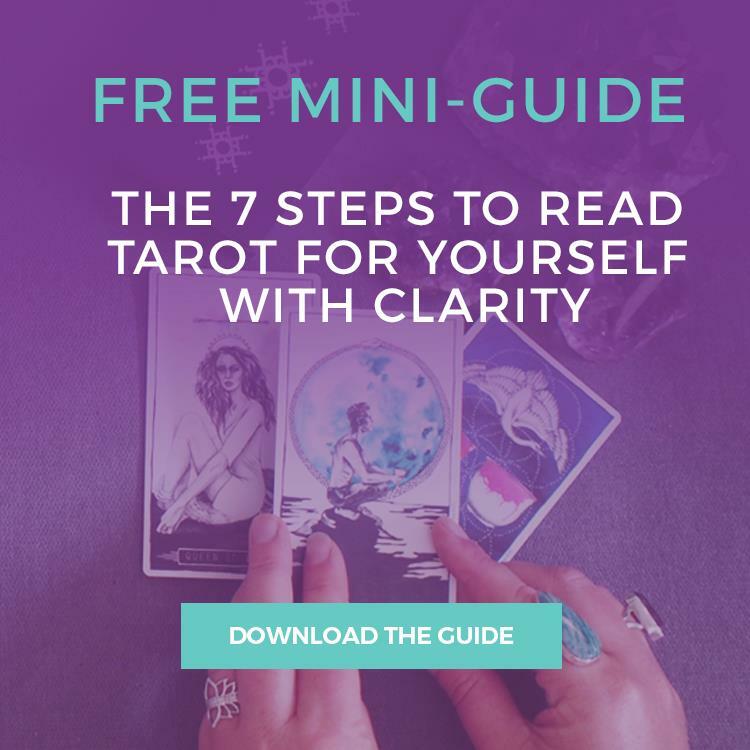 My book, The Ultimate Guide to Tarot Card Meanings, is a straight-forward, relevant and comprehensive guide to every Tarot card. Available in paperback and digital – order yours today.